I love OPC because we're one big family! Everyone at OPC is welcoming and willing to serve in any capacity. We're called to love God and love people and our OPCers do just that! Ty is married to Taylor and together they have a son, Peyton. 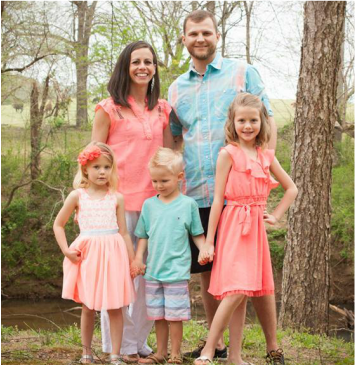 Prior to coming on staff at OPC, Ty was the youth pastor at Austin Road Baptist in Honea Path, SC. He is entering his second year on staff at OPC. When he's not serving at OPC, Ty enjoys spending time with family, exploring new places, and reading. ​I love OPC because we have the most hard-working, selfless volunteers who show up early, stay late, and support the staff whole-heartedly, no matter how crazy or difficult the tasks may seem. The people of OPC make our ministry happen! Tonya is married to Brent Johnson and together they have 3 beautiful children Camryn, Ellisyn, & Crew. Prior to joining the staff at OPC in 2011, she was a elementary school teacher in Greenville County. Tonya has served as Pastor Mike's assistant for the past 6 years and has recently taken on the role of Children's Ministry Director. When Tonya is not serving at OPC she enjoys spending time with her family, reading, photography, home improvement projects, writing, and crafting.